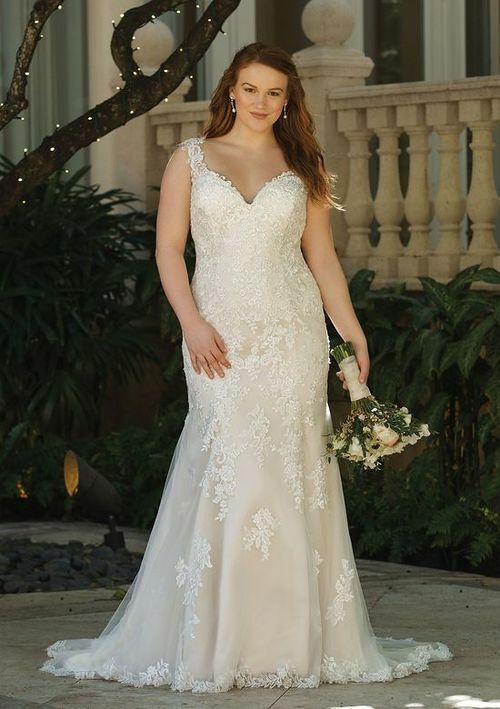 This fit and flare lace gown will wow the crowd. 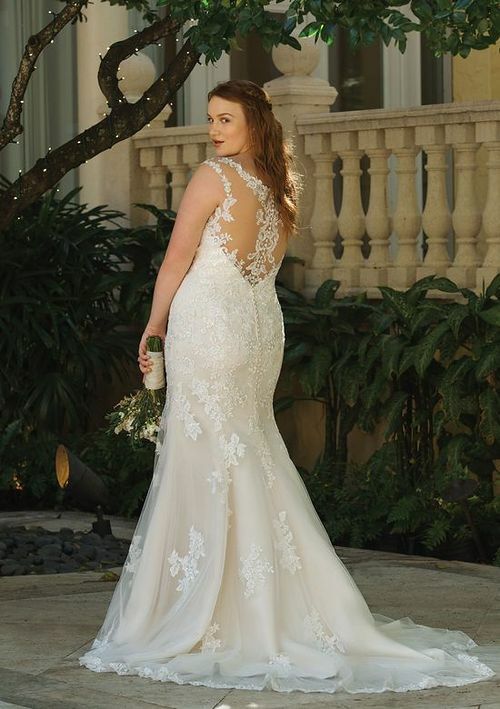 A stylized V-neckline creates a slight off the shoulder look and continues to the illusion back. The back lining creates a V into the skirt and is finished with covered buttons to the end of the zipper. 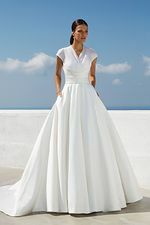 The skirt is finished with a scallop hem with the tulle layer extending out just a bit further than the lining for that extra drama.